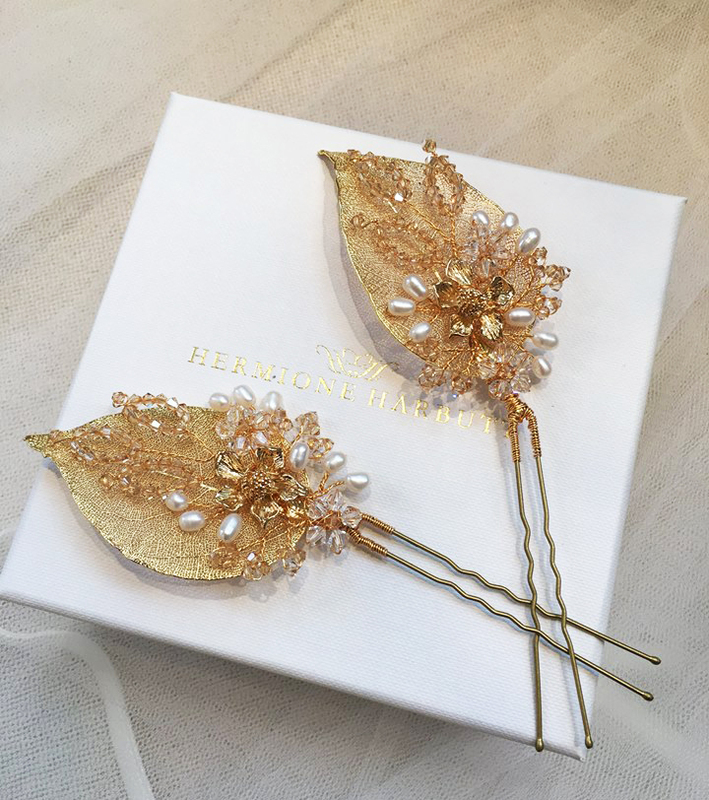 A beautiful bespoke set of our Myrtle Hairpins for a beautiful bride to be. 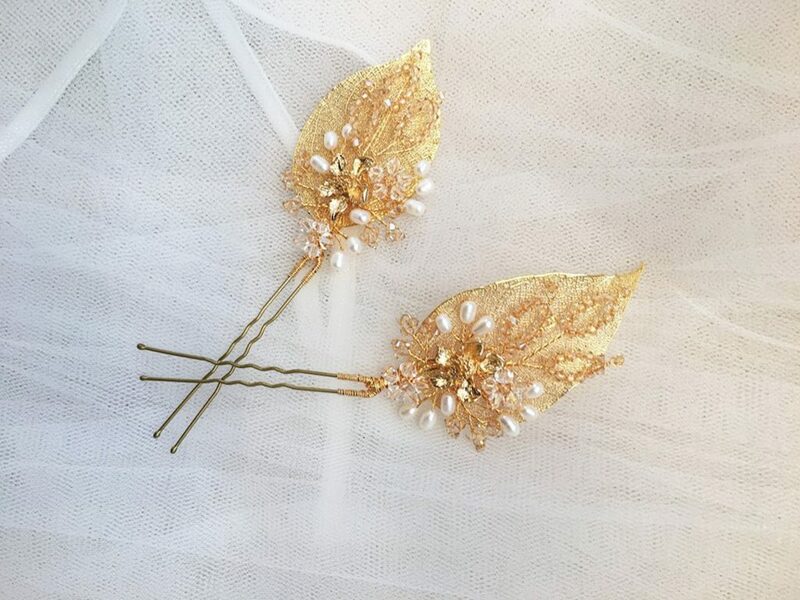 Gold tone leaves with delicate clear and gold blooms, champagne Swarovski crystals and pearls. Such beauties!